Those two words have the power to send kids into a frenzy and some parents into a near panic. The crowds. The cost. The heat. And, oh, did we mention the cost? 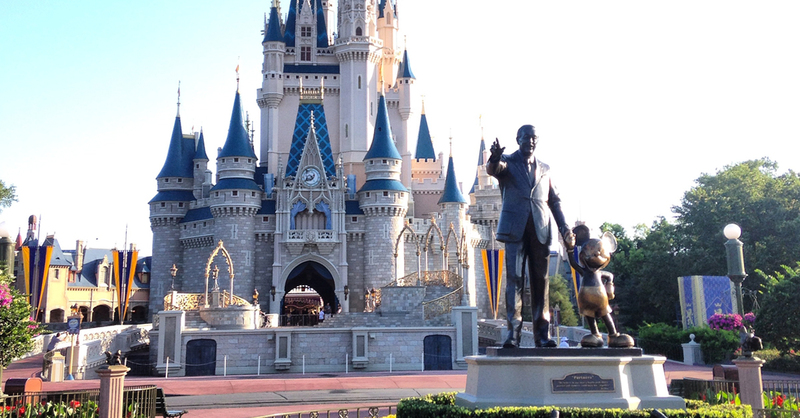 No matter how you slice it, your wallet will be lighter after a Disney World vacation. But for a lot of people, the crowds, the long days and the costs are worth it just to see their kids’ eyes light up at the first sight of Mickey. So if you’re eyeing a future Disney vacation, what do you need to know to make sure your budget is prepared? We talked with former Disney marketer and PR specialist Angie Kline and asked her how to make the Disney World sticker shock less of a thing. While you’re budgeting for the trip, look into the free dining plan. This plan is only offered during certain times of year, so you’ll want to make sure you have access to it. Then, make sure you understand what you can have on the plan and what you can’t—like what qualifies as a “snack” and what qualifies as a “meal” in Disney terms. Also, let’s not forget about souvenirs. For a kid, Disney is souvenir heaven. Be prepared to walk through a shop at the end of almost every ride. Souvenirs are everywhere! Make a strict souvenir budget ahead of time, and stick to it. This is a great opportunity for your kids to learn about budgeting! Another idea is to buy souvenirs outside of the park. Mickey is Mickey, right? Plus you’ll save a lot of money while your kids still get their fun toys. Time is money, right? And while you might save a little money staying off-site, you’ll be trading in that money for the time you spend getting in and out of the park. The key here, Angie says, is to plan ahead. “’Wingin’ it at Disney usually isn’t the best idea,” Angie says. Take a look at the park map before you get there, she advises, and prioritize the attractions you want to see and when you’d like to see them. Use your (free!) FastPass on the most popular rides—like Peter Pan’s Flight, Space Mountain, Rock ‘n’ Roller Coaster, Seven Dwarfs Mine Train, and Soarin’—or visit them right when the park opens, during the parade, or later in the evening. An added benefit to staying on-site is free transportation to and from the airport. And think of how much time you’ll save sitting in traffic outside the park, scouring the parking lot, and getting into the park by simply staying on-site. The bottom line: If you plan ahead and pick the right time of year, you can make your Disney World experience truly unforgettable. Ready to plan your Disney vacation? Create a free EveryDollar budget to help keep track of your savings leading up to the trip and your spending while you’re there.